Britt Benn’s two tries weren’t enough to prevent Team Canada’s early exit from medal contention at the HSBC Rugby Women’s Sevens Series in Sydney, Aus. over the weekend. The Canadians were able to salvage the weekend a bit to finish fifth at the tournament, earning some much needed points in the season standings. 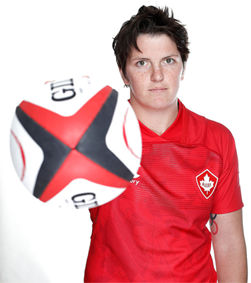 Benn scored both her tries in Canada’s opening game against Fiji, helping them secure a 36-12 victory. Benn also help set up a try in Canada’s second game of the series, but the team fell short in a 15-14 loss to Ireland. They closed out the day with a 12-7 upset loss to Russia. That left them with a difficult match against New Zealand to open the next day. Their longtime rivals got the best of them again, topping the Canadians 17-7 in the cup quarter-finals. Canada rebounded to beat Russia 12-7 and France 19-17 to finish fifth overall. That finish gave them 12 points in the standings, bringing their season total to 46 on the year, dropping them two back of second place United States and 14 back of top ranked New Zealand. Australia sits fourth, also with 46 points while France is fifth with 32. There’s now three stages left to play in the series, with the top four teams at the end of the season earning a berth into the 2020 Olympic games in Tokyo, Japan. The next stage will take place April 20-21 in Kitakyushu Japan, followed by Langford, BC on May 11-12 before closing out June 15-16 in Biarritz, France.